As I wore this t-shirt over the years, it never occurred to me to question what a happy whale was doing, swimming in a river more than a hundred miles upstream from the Atlantic Ocean. Then, at last weekend’s workshop with Christopher Cheng, workshop organizer Nancy Castaldo explained for our visitors from Australia, and for us as well. Hudson was a center for processing whales that were towed upstream. No, the whale was not smiling, or spouting. Most likely, the unfortunate critter would have been floating on top of the water, towed by a slow-moving vessel, and stinking mightily by the time it arrived at Hudson’s docks. I imagine the people rejoiced, however. This was their livelihood, and without a steady supply of dead whales, families would go hungry or have to move away from their homes and community. 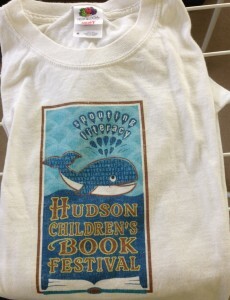 However, a dead, stinking whale and rejoicing townspeople would not have made for a cheery t-shirt at a children’s book festival. 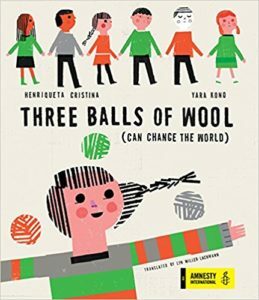 There is a moment in which every child comes to realize that the world is not always happy or magical, that Santa Claus doesn’t exist and neither does the Tooth Fairy. In my current work-in-progress, my 13-year-old protagonist discovers that his beloved grandfather, with whom he has a special bond and who for years has helped this shy, awkward boy to navigate the world, is not the rock of stability that the boy thinks he is. Yes, there have been signs of trouble, signs that the world is not as happy as my character thinks it is, just as I should have known that whales don’t swim a hundred twenty miles up the Hudson River of their own accord. 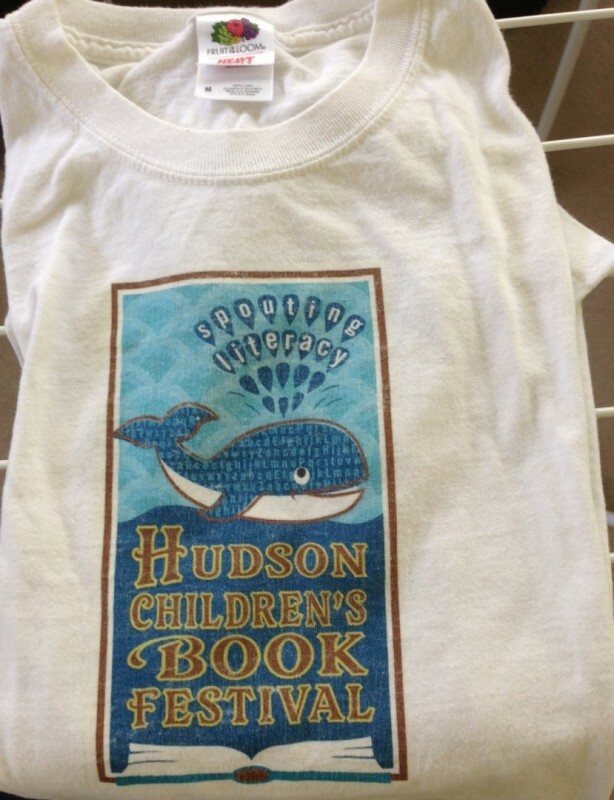 And as I try to capture my protagonist’s moment of disillusionment, I recall how I felt when Nancy recounted the whaling history of Hudson and I thought of my t-shirt.